Japanese Consumer brand, JVC has been pretty active in India since the last year in association with Indian OEM Viera Group. It is worth noting that JVC is a well-known name in the in-car audio segment and entertainment system manufacturing segment. In a recent development, the company has announced the launch of six new LED TVs in India which bear a base price of Rs 16,999. The company has noted that these six new variants of TVs will come in sizes from 40-inches to 55-inches. 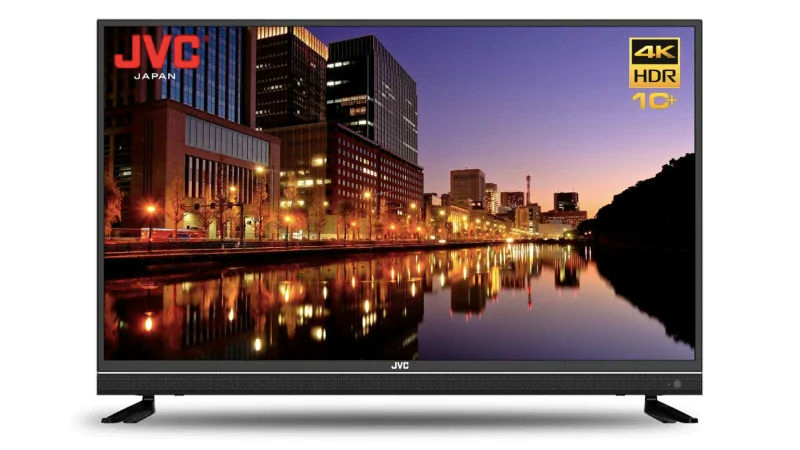 With this new launch, JVC will be getting down on the field in competition with the likes of Xiaomi which has been releasing noteworthy TVs in the budget price segment. Further, JVC has announced that its TVs will go on sale on March 6. The TVs will start retailing on the Indian e-commerce platform Flipkart. Also, the TVs will come in two specifications of Full-HD resolution and 4K which will depend on the screen size of the TVs. Staying up with the trend, JVC has also ensured that its TVs will come equipped with support for apps like Hotstar, Amazon Prime Video, Netflix, and YouTube. The TVs will also extend support for Miracast which will allow you to cast your Android screens on to the big screen. So you will be able to play videos and movies on Full-HD or 4K screen right from your smartphone. Under the hood, the TVs will pack 2GB of RAM, 16GB of internal storage and the processor will be a quad-core chipset. On the audio front, the TV will deliver a 50W sound output on the 55-inch variant. To increase the quality by a notch, the TVs will also come with Dolby certification which will ensure an improved sound output. When it comes to connectivity, the TVs also have support for Wi-Fi and LAN for online services. Additionally, you will find HDMI and USB support as well to connect source devices. Like we mentioned above, JVC TVs are being manufactured and marketed by Viera Group in India. The brand also manufactures TVs under the Noble Skiodo brand. The company has also recently unveiled SmartLite LED TVs under this banner with the base prices of the TVs starting at Rs 6,999. When it comes to competition, JVC will have to face Xiaomi in a tight battle as in the last few years the Chinese OEM has expanded massively in the TV segment. Only in January, Xiaomi had launched the Mi LED TV 4X Pro 55-inch variant which has been touted to pack a lot of perks like a high-quality graphics output, impressive panel and much more in a very affordable price tag of Rs 39,999.